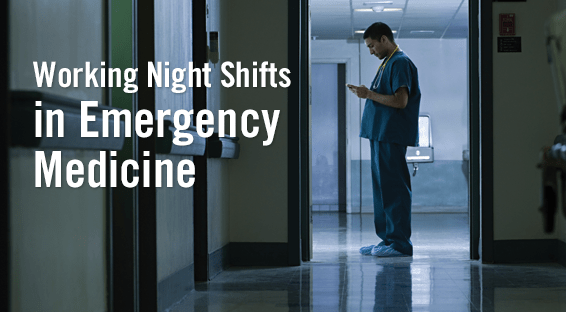 According to the American College of Emergency Physicians, adverse effects resulting from constantly rotating shifts are among the most important reasons for early attrition from emergency medicine because of difficulty recovering from night shifts. Few studies have examined the thoughts and opinions of emergency physicians on night shifts regarding quality-of-life factors and career satisfaction. To address this research gap, Dr. Smith-Coggins and colleagues had a study published in the Journal of Emergency Medicine that evaluated night shift perspectives by surveying more than 1,000 American Board of Emergency Medicine diplomats. Based on over 800 responses, results of the study showed that most night shifts for emergency physicians lasted 7 to 8 hours. About two-thirds typically worked one to six night shifts per month. When asked to compare their schedules now with their schedules from 5 and 10 years ago, the majority of participants reported working the same number or fewer night shifts. “Most respondents noted that night shift work negatively influenced their job satisfaction either moderately or majorly,” says Dr. Smith-Coggins. Another 43% indicated that night shifts had caused them to think about leaving emergency medicine. Among those who were retired from emergency medicine, night shifts were a factor in decisions to retire for 56% of participants. The study also asked participants to describe how night shifts affected their health. “Most responded that working night shifts had mild or major negative effects on their health,” Dr. Smith-Coggins says. Fatigue, poor quality of sleep, depressed mood or irritability, and health maintenance challenges were common themes identified in the analysis (Table). Night shifts also had a significant impact on mood and social interactions among emergency physicians. Many respondents indicated that night shifts had a negative impact on their mood, but these decrements are commonly associated with stress, fatigue, and insufficient sleep. In addition, some respondents indicated in their survey comments that their family interactions were challenged because of night shifts. Some reported that night shifts were a strain on their relationships and others noted that these shifts decreased the amount of time and energy they had to spend with family. “Improving awareness of the potential negative effects that night shifts have on social interactions may help emergency physicians develop better coping skills,” says Dr. Smith-Coggins. “Making efforts to address fatigue, insufficient sleep, and other negative effects of night shifts can also have an effect on mood and social interactions.” The study notes that administrators can take simple steps to improve perceptions of night shifts, such as providing healthy snacks in hospital EDs, offering wellness workshops, and giving access to exercise facilities. The study identifies several important effects that night shifts can have on emergency physicians that should not be ignored, Dr. Smith-Coggins says. “Night shifts can have a negative influence on job satisfaction and may factor into decisions to retire or leave the emergency medicine field entirely. Individual emergency physicians, hospital EDs and their leaders, and emergency medicine societies and associations should strive to address these issues. She notes that, in the future, efforts should be made to increase education on these matters and that programs should be developed to specifically address the effects of working night shift. More research is needed to understand these effects and promote wellness and longevity. Smith-Coggins R, Broderick KB, Marco CA. Night shifts in emergency medicine: the American Board of Emergency Medicine Longitudinal Study of Emergency Physicians. J Emerg Med. 2014;47:372-378. Available at: http://www.jem-journal.com/article/S0736-4679(14)00377-1/abstract. Nagai M, Morikawa Y, Kitaoka K, et al. Effects of fatigue on immune function in nurses performing shift work. J Occup Health. 2011;53:312-319. Cydulka RK, Korte R. Career satisfaction in emergency medicine: the ABEM Longitudinal Study of Emergency Physicians. Ann Emerg Med. 2008;51:714-722. Dula DJ, Dula NL, Hamrick C, Wood GC. The effect of working serial night shifts on the cognitive functioning of emergency physicians. Ann Emerg Med. 2001;38:152-155. 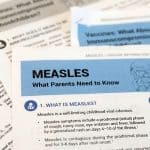 Rebecca Smith-Coggins, MD, has indicated to Physician’s Weekly that she has or has had no financial interests to report.